The legendary Disney story of Paul Bunyan, Babe The Big Blue Ox and Joe Mufaw (the man with the chainsaw) provided an incredible lesson about thriving in the age of technology when it was originally popularized by William Laughead in 1916 as a promotional pamphlet for the Red River Lumber Company. 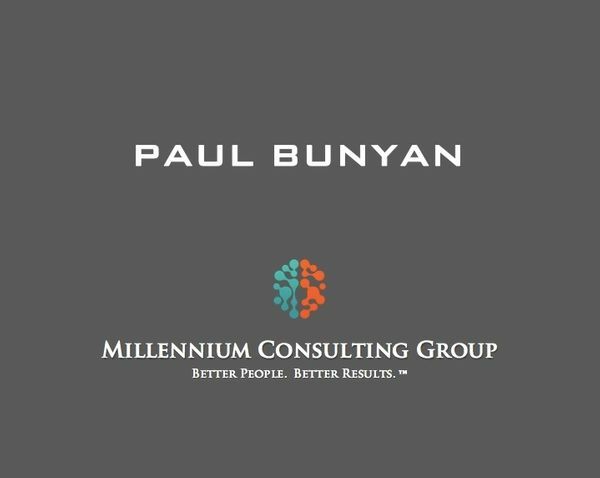 Bunyan's story provides our first popular glimpse into the power of technology to change and rapidly disrupt industries and traditional systems of high performance. In this talk we revisit Paul's iconic story through the lens of his monumental mistake and with a laser focus on the financial services industry. We also consider the dawn of the chainsaw age while comparing and contrasting with the evolution of technology in the financial services industry. We provide a roadmap for what we can do to make early technology adaptation a way of life. Millennium Talks can be purchased as stand alone sessions, as a complete package or as a select combination package. Pricing is always customized on a client by client basis so please email or call for a custom quote.